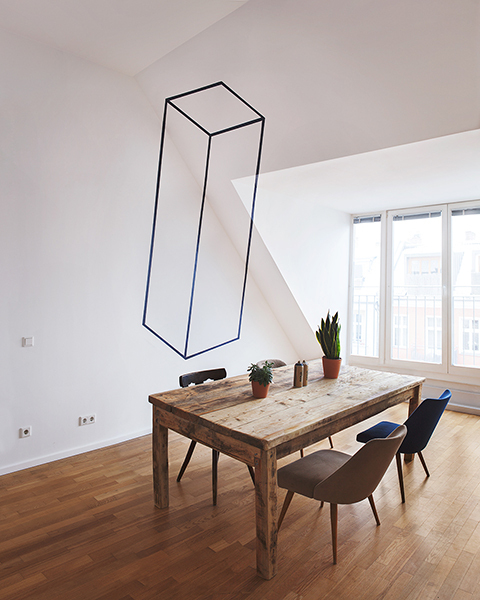 This anamorphic three-dimensional object was commissioned in February 2014 and was painted with a spray can in a flat in Berlin, Germany. 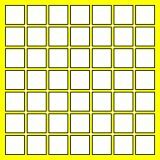 When viewed from the angle that this photograph was taken at, it looks like a rectangular column hovering in the corner of the room. 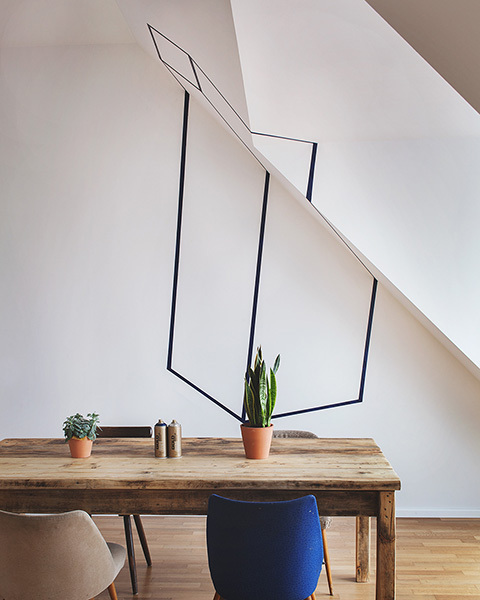 By moving several feet to the right, you can see exactly how Blue Berlin was applied across several walls to create this unique effect. 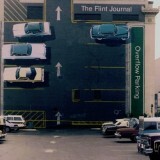 This installation is similar to the Green Sqwear painting by Alexis Facca and the Eureka Car Park optical illusion.